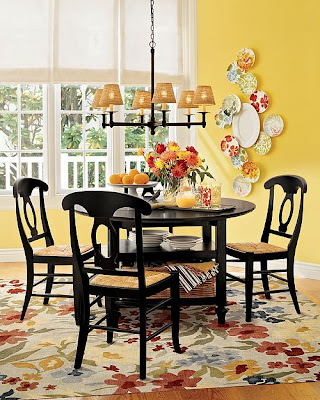 i LoVe EVErYtHing aBout tHis diNing RoOm!! EspecaLLy the pLates on the waLL. and the chandeLier. and the table and chairs. And the rug...yeah. Pretty much everything.